1. 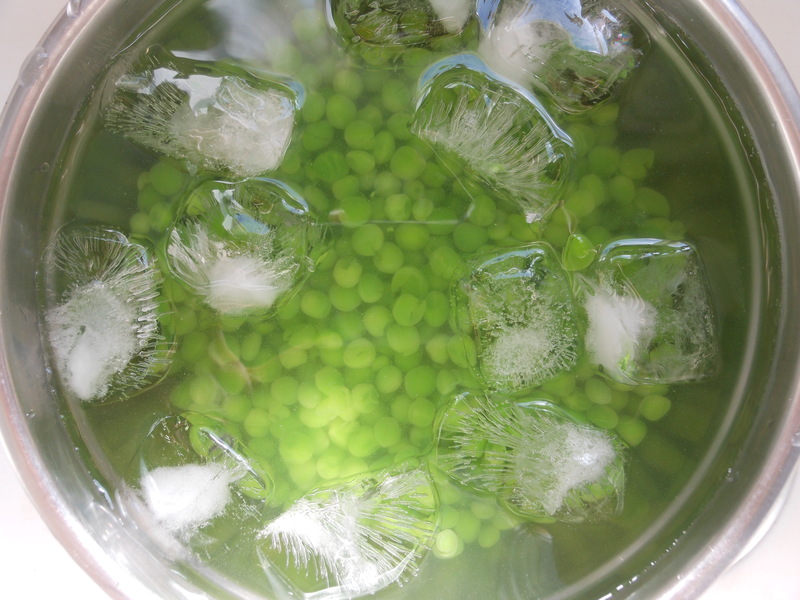 All the ingredients go into the food processor and pulse until desired consistency. 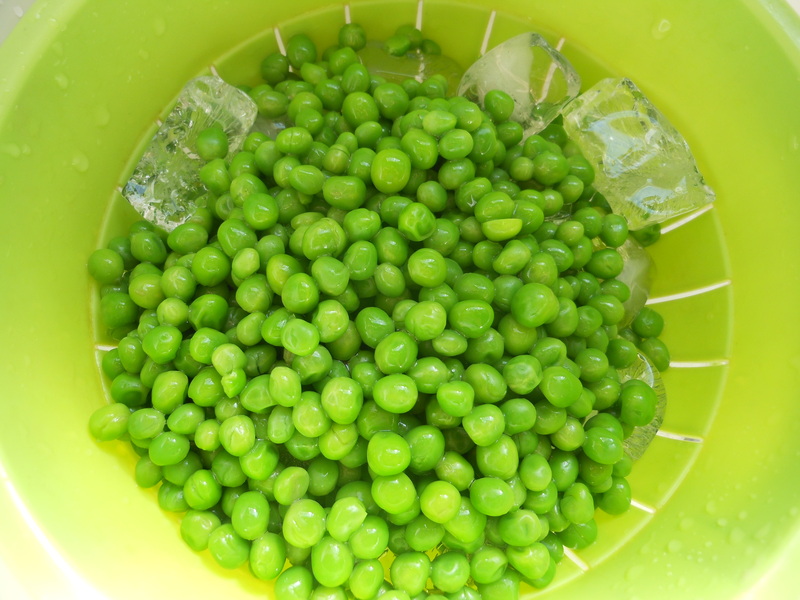 Refrigerate and serve with carrots or asparagus spears. Taste for salt and pepper. 1. Place the shelled pistachios, cinnamon and salt in the food processor and process until a thick paste forms. About 5 min. 2. I use a 1/2tsp. measuring soon to spoon mixture out and fill each date. 3. Top the toasted coconut. Serve! 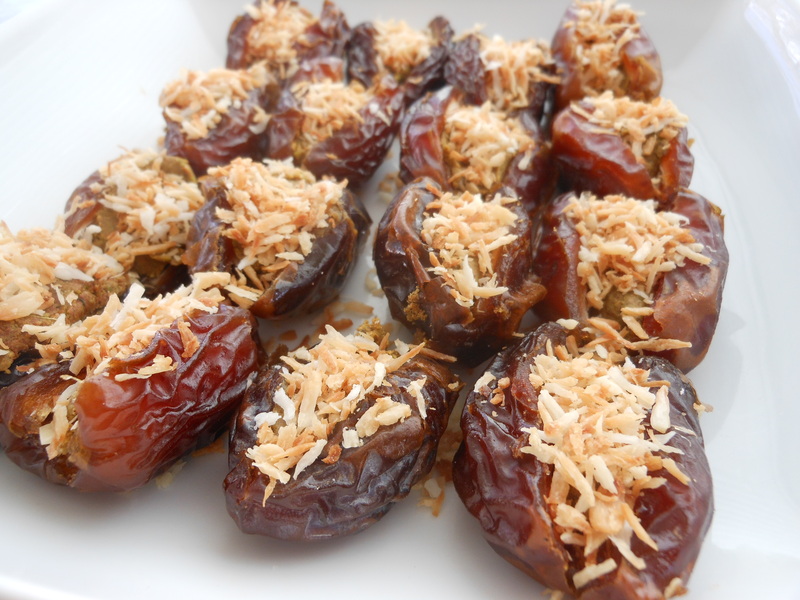 Dates- Dates are a good source of fiber, an excellent source of easily digested carbohydrates. Dates are among the most alkaline of foods, and contain a special type of soluble fiber called beta-D- glucan which has been shown to decrease the body’s absorption of cholesterol and slow or delay absorption of glucose in the small intestine, thus helping to keep blood sugar levels even. 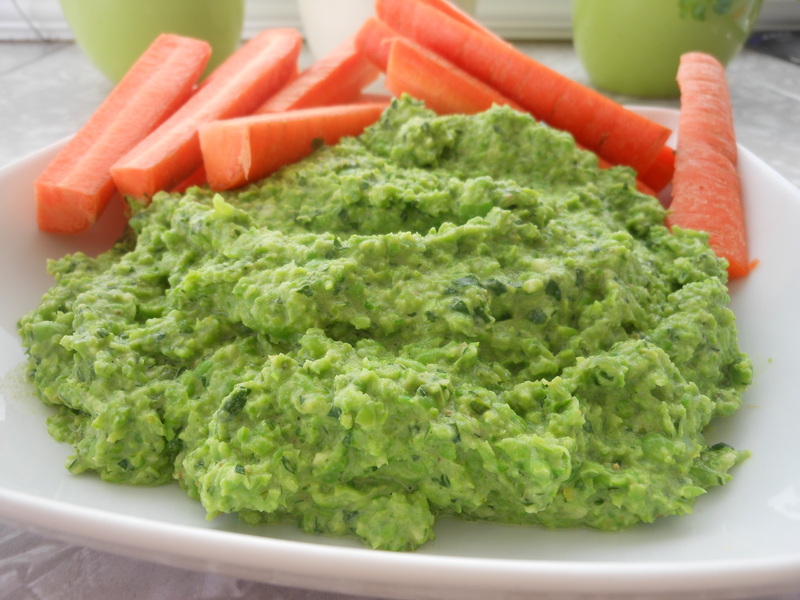 Let’s start with the minty pea dip, this is so easy so fresh and a super healthy snack. Love it! This would be great on bread with a sprinkling of cheese, or over pasta. Enjoy! Now, the dates. I love dates, Billy not so much. When I first made these I had to tell him to close his eyes and open his mouth because I knew if he saw it or knew what it was he would be weird (that’s just how my sweetie is about a few things). Well guess what? HE LOVES THEM! He would like them to be a staple snack in our house. Funny man, but he’s right they are very delicious. I kinda think they would be awesome wrapped with bacon and baked! Enjoy! Craving these stuffed dates! Have to make them asap! These are the best combo of sweet and salty. Enjoy!